The driving range at Golf Club Carimate is equipped with 16 outdoor positions and 6 covered positions, a chipping and bunker zone and a team of professionals who are available everyday (closed Mondays) for individual lessons on the driving range and on the course. Mario was born in Como, has an enormous passion for the game, and following his family’s traditional love of the game participated in many amateur tournaments, before turning pro. He began dedicating himself to teaching by starting at John Jacob’s School of the F.I.G. and has kept up to date by participating yearly in golf instruction seminars held by the PGAI and the Federation. He has been a FIG golf pro for 30 years and instructs the Juniors club of Carimate. 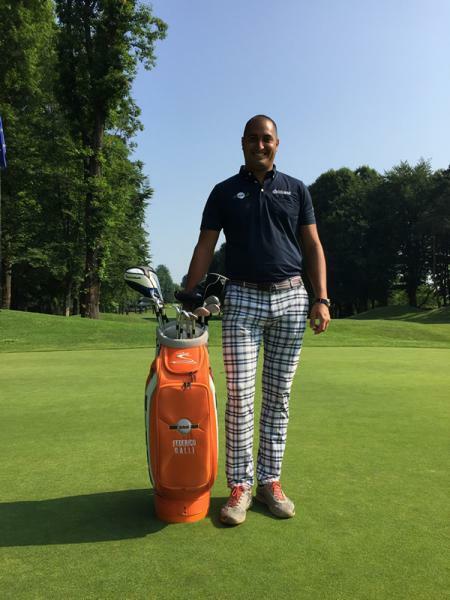 Carlo was born in Monza in 1971 and grew up playing at Golf Club Milano where he also participated on the Italian National Golf team in European competitions. He turned pro in 1992 and in 1993 he began as head professional at the Golf Club Brianza where he stayed until 2014. 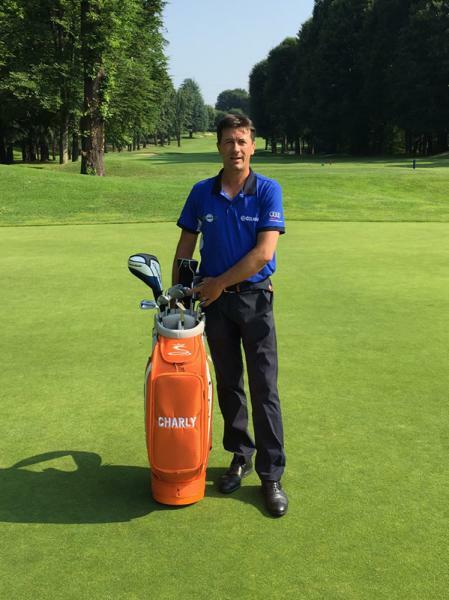 Carlo has been a golf pro at Carimate since 2015. Federico was born in Milan in 1989 and also grew up playing at Golf Club Milano. He turned pro in 2012 after obtaining a position on the Alps Tour. In 2013 he successfully completed the training course for golf professionals at the National Golf School and joined the team of Golf School Zappa. He has been a golf pro at Carimate since 2015. Italian Golf Academy was created in 2017with the initiative of four cousins: Nicola, Luigi, Carlo and Roberto and during the past few years it has added to its staff with new instructors. All of its golf instructors and collaborators have graduated from the National School of Golf and over the years they follow up with refresher courses keeping them in touch with the best golf instructors in the world. Individual and group lessons using the putting aid program SAM PUT LAB with a personalized chart. Personalized individual lessons for beginners with a format of 10 thirty minute lessons which will guide the student towards an understanding of all the shots neccessary to go on the course. Personalized individual lessons for mid-level and advanced players fine-tuned to individual needs which will improve a player’s knowledge of technique and lead to effective improvement of the game. Group lessons of 4-6 players of the same level can be arranged which effectively lower the cost of instruction per player and that follow the beginner’s format or a personalized course for mid-level or advanced players of the same handicap. Italian Golf Academy can organize and collaborate with daily Golf Clinics for conventions. Over the years diverse tournaments on courses and demonstrations on driving ranges have been held for promotional events and conventions. Guided by the outlines set forth from the Italian Golf Federation the school manages Junior Golf activities. The format makes provisions for the obtainment of membership in the Junior Golf Club for junior players between the ages of 6-18 yrs old who are then divided into groups of 6/8 students, and further divided by playing ability and age. Golf Clinics are workshops which last between 3-6 days. Normally they are organized and held at Agadir, Morocco in the winter months and in the summer at Ponte di Legno and Carimate. They are an ideal solution for golfers who like to combine a week’s vacation with intensive full immersion golf instruction. Short Clinics are mini-workshops that can last from half-a-day to a full day with a concentrated program which can be from 5 to 6 lessons.